Well this is a nice surprise. 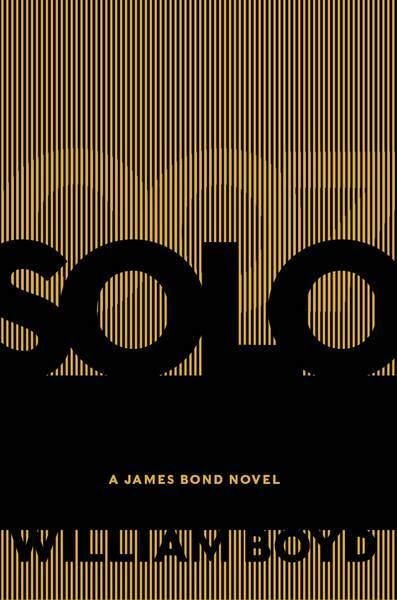 Not only did we get today the final UK cover art for Solo, the new James Bond novel by William Boyd, but Ian Fleming Publications has just revealed the final U.S. cover art from HarperCollins. I like them both! Solo will be released by HarperCollins in the U.S. and Canada on October 8, 2013. You can pre-order from Amazon.com. I really like the UK version better. I am a graphic artist, so find the simplicity of this good, but it hurts my eyes with the vertical lines. Is Bond hiding behind the venetian blinds? I probably like the UK better as well, but I do really like this one as well. I'm glad they are different. I like the UK a lot but this one just doesn't do it for me. Think I'll order the UK from Amazon. I like 'em both! And I like the boards of the UK version better than either dust jacket. If the lines on this are raised bumps and you can light a match off of the cover, it'll at least be practical. According to Amazon, this edition has 'Deckle Edge" paper. One of the rare times I like a U.S. jacket better than the British!